If you believe that you can use return on investment (ROI) to justify a unified communications (UC), telecommunications, or other related technology solution sale, then it is important to take a closer look at the meaning behind the two. This white paper will help you better understand how analyzing ROI may not be the way you decide how to buy VoIP, telecom, voice, data, or video solutions. You will also learn the best things to consider to make an informed decision. 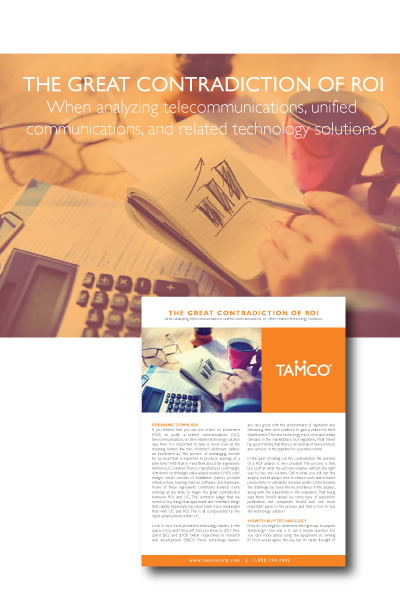 Download white paper: The Great Contradiction of ROI when analyzing unified communications, telecommunications, and related technology solutions.